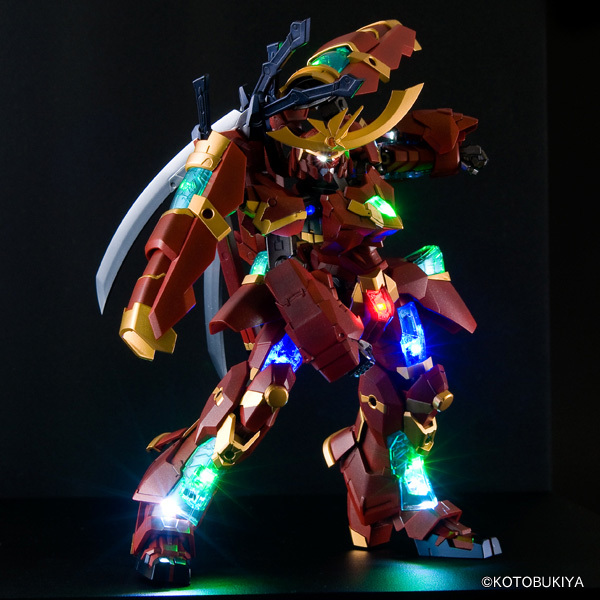 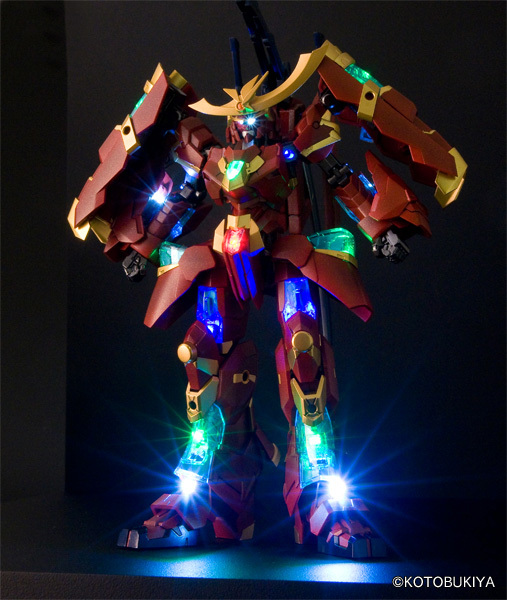 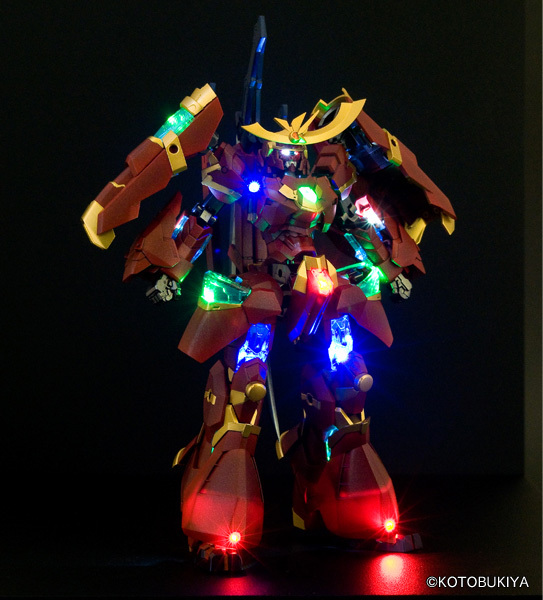 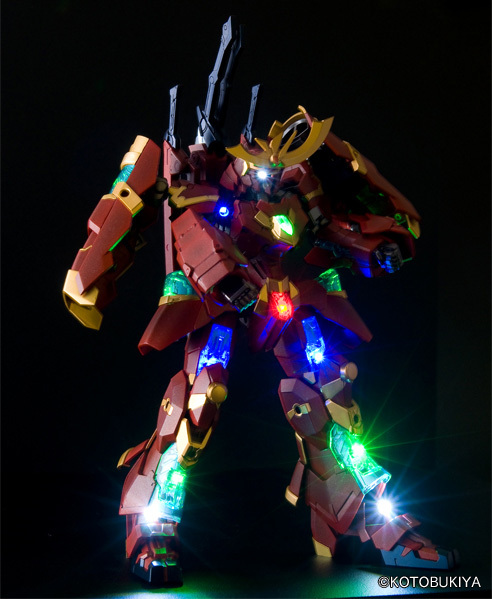 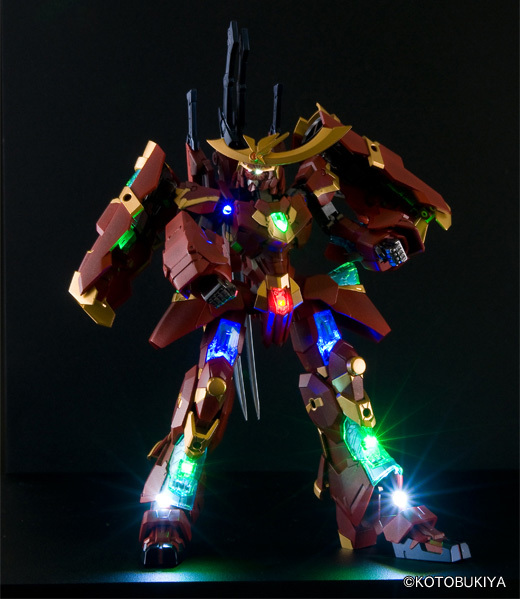 This is a kit that has an internal frame, so preparing decorative lighting is difficult. 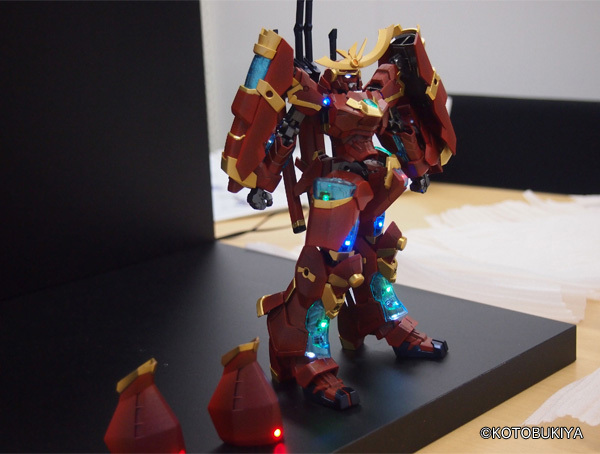 However, one of the major benefits of the wireless power supply is being able to add accent lighting by installing LED units on the arms and head without hindering mobility. 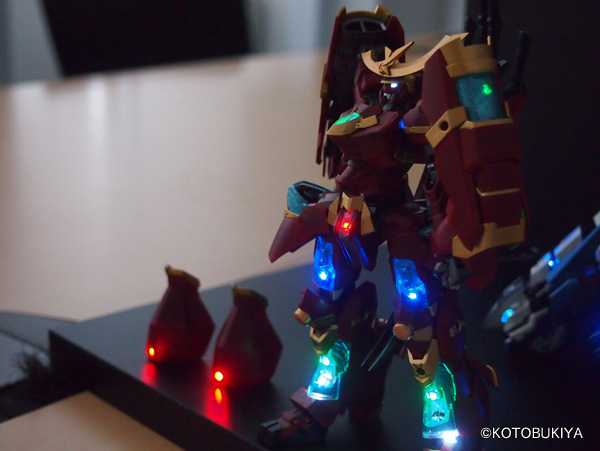 Another advantage is that the small LEDs can be fitted inside the clear parts.